You'll all be eaten up with jealousy now... 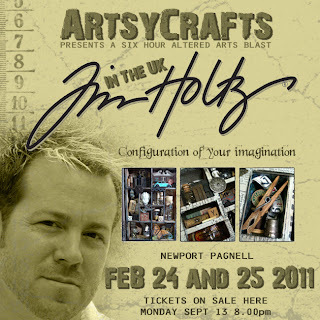 I'm off for another Tim Holtz workshop! And another stay in a hotel, which is exciting in itself (I don't get out much). I have just finished my next piece for Craft Stamper, so only have to proof-read it in the morning and then post it ... rush home and get packing ... then I'm on my way again. I made journals for the three friends I'm going with (each one different) in case we need to make notes. And it's nice to have one even if we don't need to make notes. I'll photograph these and post them when I get back. Rumour has it we'll be doing the Configuration Boxes - so the camera will be working overtime. I'll make sure it's fully charged! Lucky, lucky girl! Can't wait to see your photos. Have fun! So glad you are making the most of Tim' visit here. As you may remember, I was the first one to tell you about him coming over, and I am naturally jealous(!!) but maybe you can persuade him to do something in London next year!! He is certainly an inspiration and looks like you have been encouraged, inspired and creatively filled up this week! What fun! 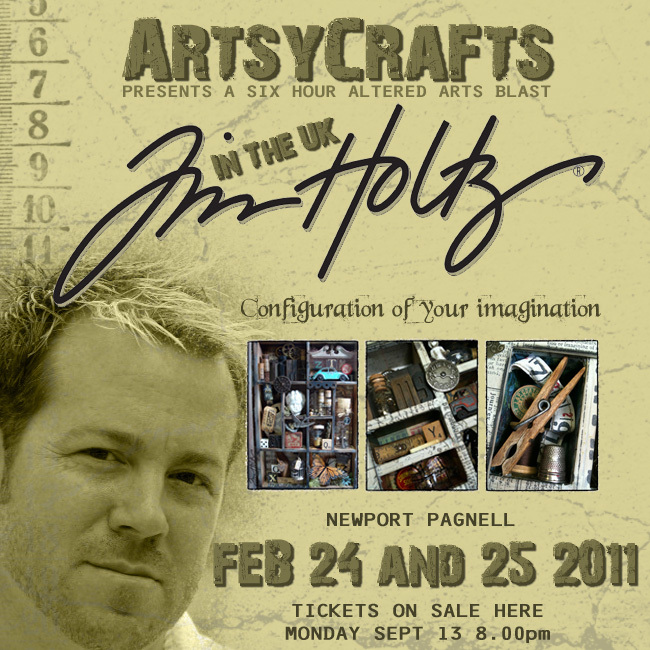 Looking forward to seeing what you created at Artsy Crafts. Glad it's been such a feast for you.